This post contains paid for links. These payments help fund Writings & Worship so we can continue to bring you good and relevant content. Please see “Legal” tab for more information. This time last year, my family and I were weeks away from a wonderful Caribbean Cruise with Royal Caribbean. Celebrating my college graduation, we headed to Cozumel, Grand Cayman, and Jamaica on the Navigator of the Seas. 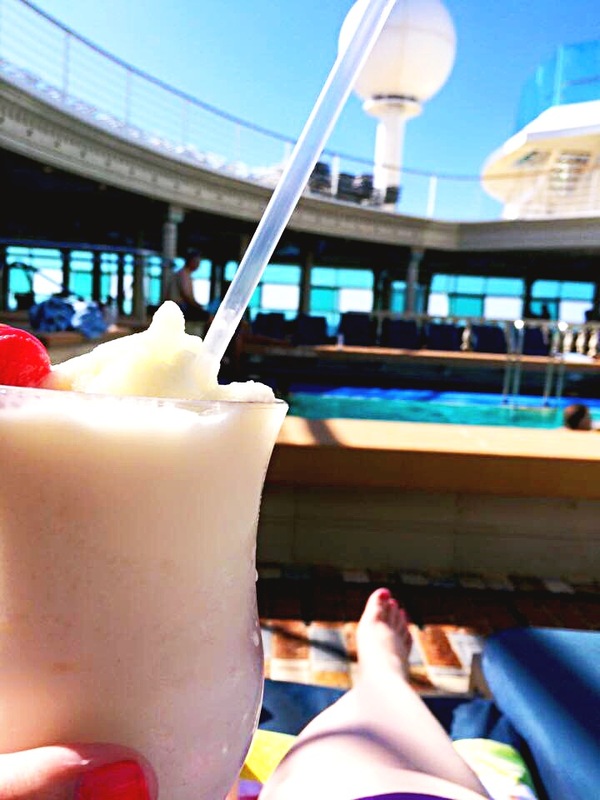 While I’m no travel expert, I wanted to share a few tips about planning and enjoying a Royal Caribbean Cruise. 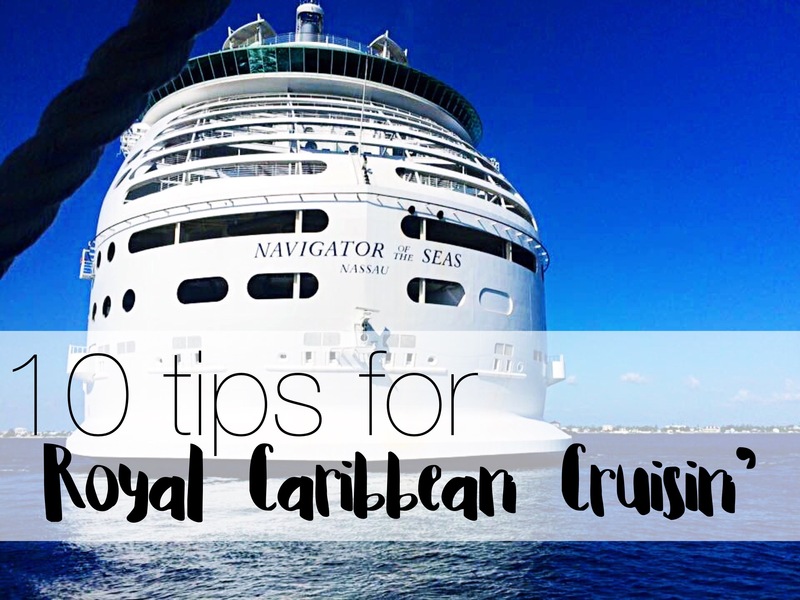 (NOT a sponsored post) I’ve compiled a few tips to help you if you are planning or will be planning a fun cruise. We booked our cruise at least 9 months early so that we could pay for it over time. It is a lifesaver! I knew about a year before what cruise I wanted to take so when we could, we booked! Book as early as you can; they often run discounts as well. When we booked it was buy one get the next person half off! Ah yes. 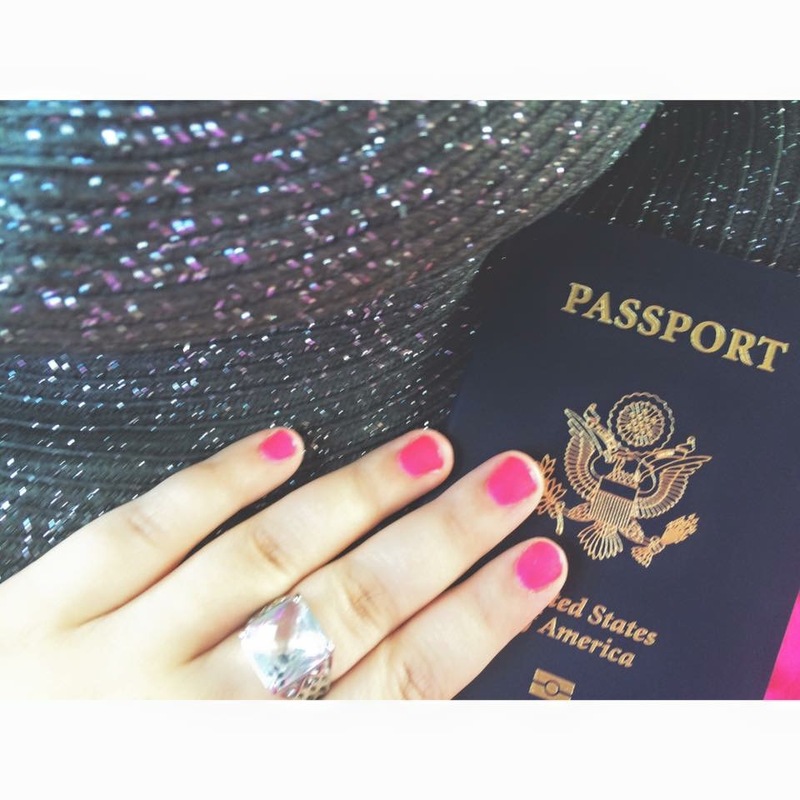 For those who don’t already have a current passport…get them asap! You don’t want to be living on the edge of your seat, praying your passport makes it in enough time. Too many things could go wrong and keep you from the cruise! It is honestly a huge relief when you get your passports and bookings done early. 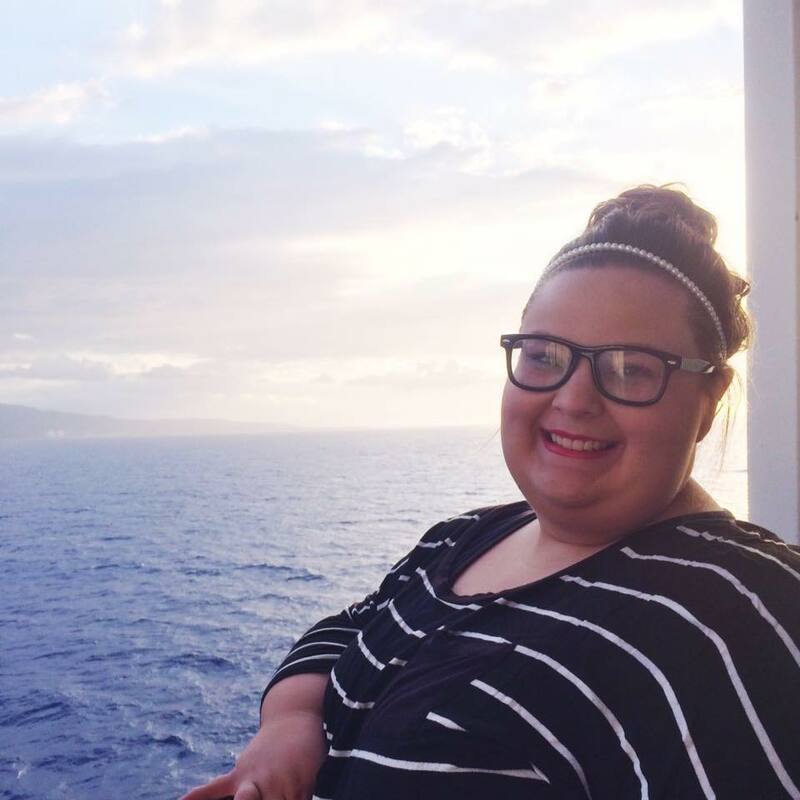 I’ve always heard that the boat waits for no one, but I’ve also heard that if you are on a Royal Caribbean provided excursion and there is a delay in you getting back to the boat…it’ll wait for you. Luckily I’ve never had to see if that’s true. But honestly, book through the cruise. They are usually much more safe and comfortable. Also, LOOK AT THE REVIEWS. Even though it might be booked through Royal Caribbean, sometimes there are reasons people don’t like the excursion. We found it so helpful to see what other people thought of the excursion before we booked them. If you don’t know, it is the Maritime law to have a muster drill before/or as you leave the dock. This ensures that the people know what to do in case of emergency. In reality, it should be a very fast process. 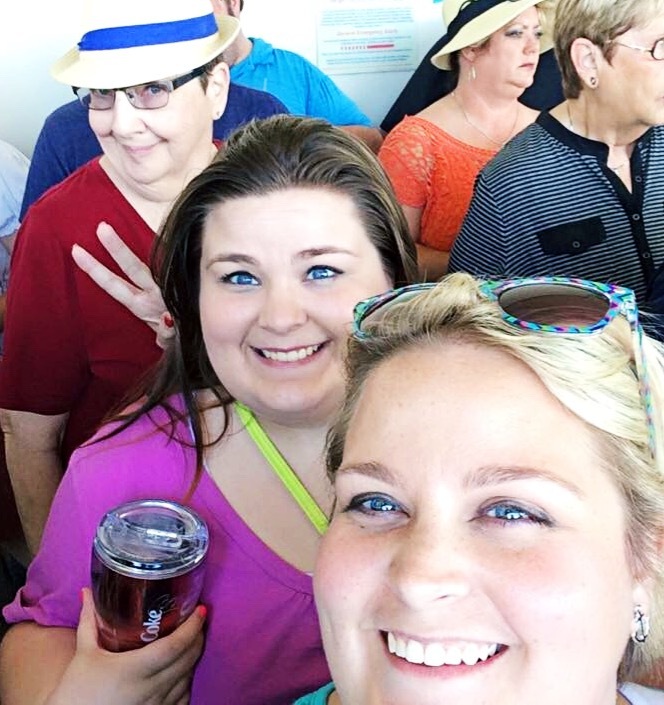 But there are always those people…those people that are already in the pool or too drunk to realize it muster drill time that then causes everyone else stands in lines, close together, in sweltering heat until every passenger is accounted for. Please. look around, get excited, check out your room but remember that the muster drill is coming! Seriously. It’s FREE. 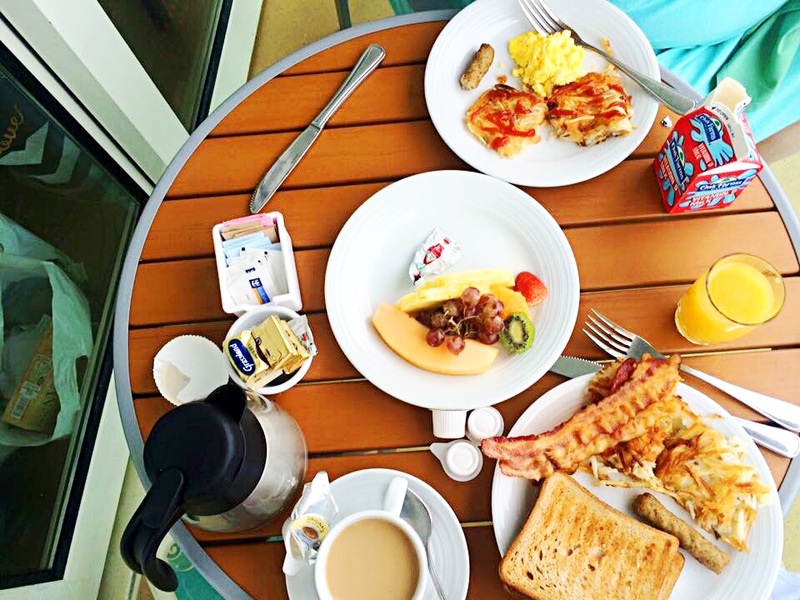 Almost every morning, we had breakfast delivered to our door (at our desired time) and we got to eat breakfast out on the balcony. This was honestly one of my favorite parts of the cruise. It was so laid back and relaxing and, of course, it makes you feel rich and pampered. We also used room service a few times late at night if we had a craving for something. The glorious (and sometimes dangerous :)) thing about cruise dining is that you get to try new food! If you want to try two of the appetizers, you can. If you want to be adventurous and try an entree that’s different and out of your comfort zone and don’t end up liking it….no problem- they’ll get ya something else! But chances are you’ll love everything you try! I always use it as an opportunity to extend my pallet and go for something I can’t or don’t eat at home! It may look fancy, but it’s yummy. Royal Caribbean has a number of different drink packages. I won’t go into all the details of each, but I did want to give you a few tips that I found to be helpful. While I love the souvenir cup you get if you buy the “coke” package…remember that almost all the soda is coming from a bar tap and ends up EXTREMELY carbonated. Some people like that or it doesn’t bother them, but just keep in mind if you don’t like it pretty carbonated you might want to pass on the coke package. They also have other packages that include non-alcoholic and alcoholic beverages. One thing to keep in mind about those is that you’re paying a daily amount for a ton of drinks a day. I opted out for those because there was no way I could drink more than one or two papaya smoothies or virgin pina coladas a day. So it ended up being cheaper to just pay outright for those drinks instead of a package. I love a good virgin smoothie! The Royal Caribbean staff are from all over the world. Each one has a different story, life, and personality. 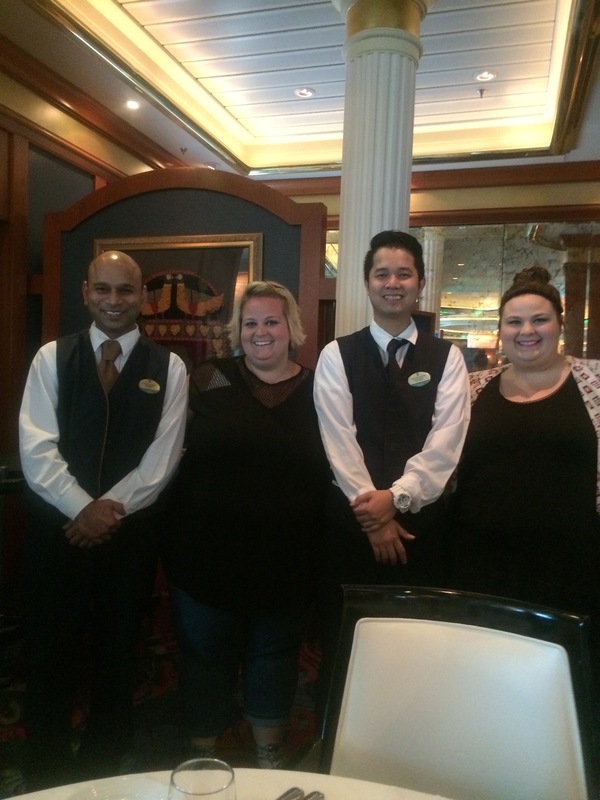 One of the greatest moments of our trip was meeting our two waiters. They honestly grew to be part of the family for that week. Both of them have families back home that they are working tirelessly for all while ensuring we have the trip of our lives. Get to know them! In some cases, your excursions could be hiking or doing something that might require you to have your own hiking gear to make you feel more at home. I know there are often extreme excursions like rock climbing through falls or hiking trails in the country you’re visiting. Now I am sure the excursion would provide you with anything you need but sometimes it’s nice to have the gear you are used to when doing something so extreme! I am a firm believer that you should get a balcony room. I promise it is worth of every single penny. Even my sister, who is terrified of heights enjoys the balcony. Being able to listen to the sea and waves at any your of the day, seeing the sunset or sunrise, all of it is incredible.